As the only makers of the famous Doreen's Black Pudding we are proud to have achieved international acclaim for our multi award winning product. The black puddings are oven baked rather than boiled, which concentrates the puddings flavour to give a drier, meatier texture and taste. Traditionally black pudding was considered to be a vital component of the classic full English breakfast, it still is! But these days we are finding more and more of our product featuring in the fine dining restaurants and hotels where the pudding is presented as part of a contemporary ‘starter’ with Scallops or the main component of a warm green salad. One of the restaurants we supply even offers Doreen’s Black Pudding ‘fritters’ ...and they are delicious. 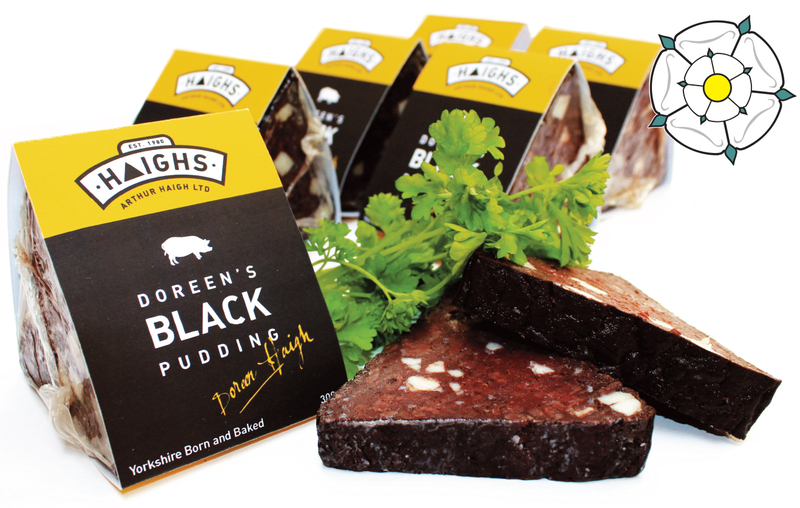 You can buy Doreen's Black Pudding here in the ‘STORE’ section of this site.